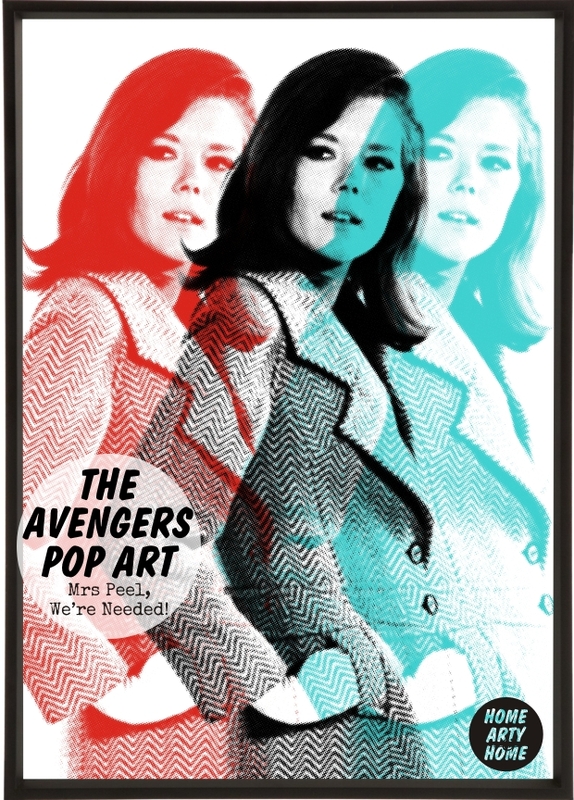 On this day in 1965, Diana Rigg made her British TV debut as Mrs Peel in her first episode of The Avengers. Airing on the 28th of September 1965 on ABC (part of ITV), Emma Peel captivated audiences in “The Town of No Return” with her brains, karate, and stylish wardrobe designed by John Bates. Diana Rigg as Emma Peel has been an inspirational icon. 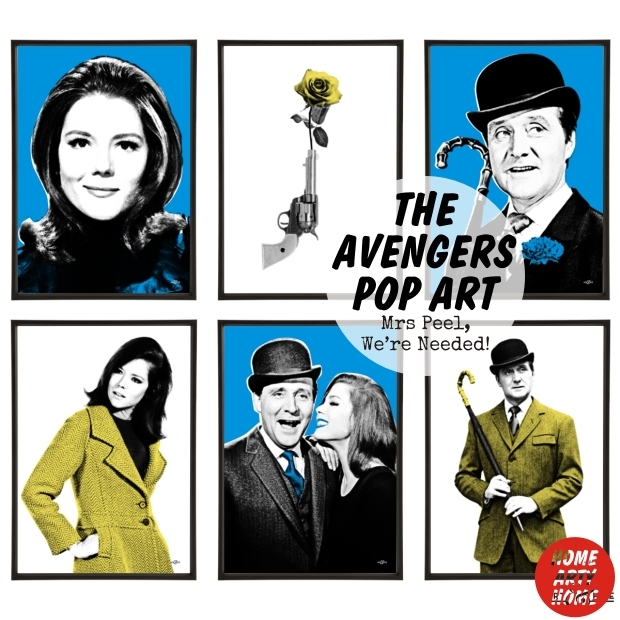 A strong and powerful woman on TV, who took on evil henchmen with high-kicks and karate chops and matched Steed’s wit, it’s no wonder that Emma Peel was a positive role model for children, and adults, the world over, at the time of broadcast and during subsequent airings. 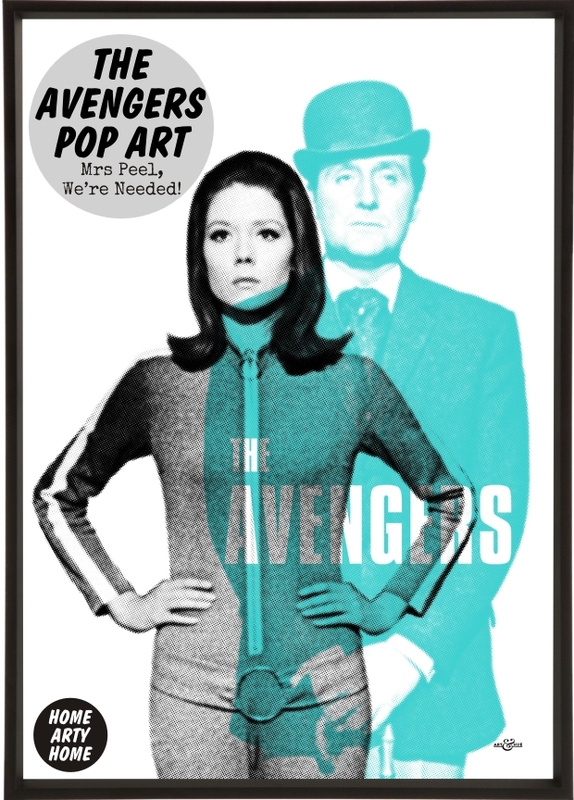 With the sad passing earlier this year of both Brian Clemens (writer, producer, and director of The Avengers) and Patrick Macnee (the timeless gentlemen who played John Steed), it’s wonderful to note that Diana Rigg will be remembering her time during the show at the British Film Institute in October. On the 25th, Dame Diana Rigg will be interviewed onstage after a BFI screening of “The House That Jack Built”, a classic episode where Mrs Peel is trapped inside a large house. Tickets are sure to sell out fast when they’re released on the 6th of October. 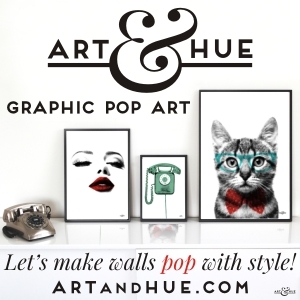 Celebrating Mrs Peel and marking 50 years of the cult show, Art & Hue has collaborated with Studiocanal, the official copyright holders of the cult TV show, to create a collection of graphic pop art inspired by John Steed & Mrs Peel. 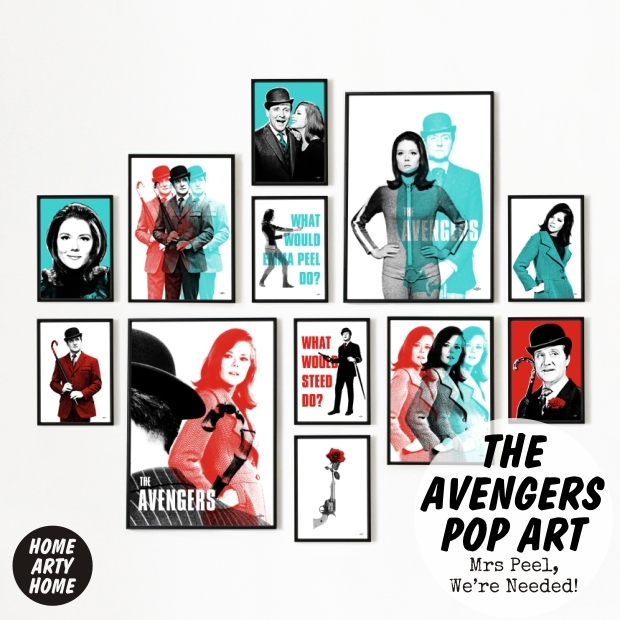 Stylish and witty, The Avengers pop art is printed on thick archival fine art card of 315gsm using pigment inks that last lifetimes and available in a wide choice of 17 colours and three sizes.